Are you a fresh graduate looking for a job in the Energy, Oil or Gas industry? Or are you an experienced professional thinking of moving to greener pastures? It's time to take a step closer to your goals and ignite your career journey with NrgEdge. On NrgEdge’s Job Portal, you will find ample opportunities to build your career, from entry level oil and gas jobs to senior and management level positions in the industry. 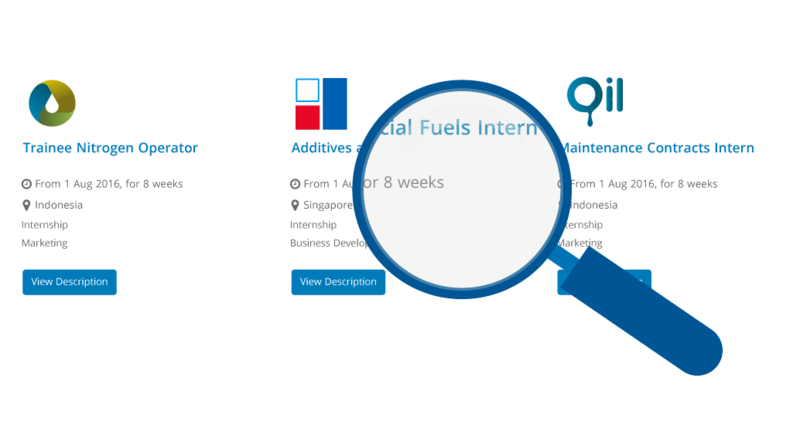 Browse and apply for oil and gas jobs in Singapore and worldwide with your professional Career Passport. Build your personal brand and showcase your talents to oil and gas companies and recruiters by keeping your profile updated. Network and discover companies that are hiring and experts who can give you career advice and guidance. At NrgEdge, we want to ensure that you have all the tools you need to build a stellar career. Start hunting for a job today with NrgEdge!